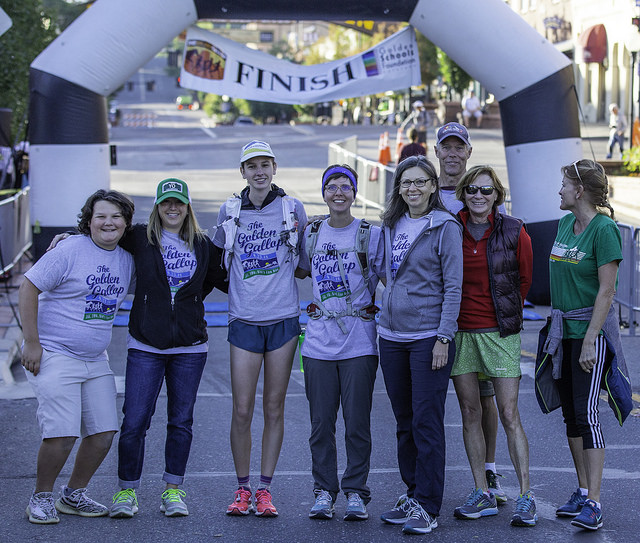 With nearly 2,000 participants expected, the Golden Gallop could not exist without volunteers. When you volunteer for the Golden Gallop, you get a chance to serve the community and have lots of fun doing it! Grab some family members and friends then sign up. Whether it’s as a course marshal, registration assistant, or finish line volunteer, there is a position that is guaranteed to fit your needs and deliver some fun. Plus you will receive a really cool Golden Gallop Volunteer T-shirt! If you are interested in volunteering, please contact our Volunteer Coordinator at Volunteer@GoldenGallop.org.